Welcome to Cornerstone Christian Preschool! We are looking forward to an exciting year that will be filled with many learning experiences for your child! Our staff has been praying for your family and is anticipating a wonderful school year. We appreciate the opportunity to partner with you in the growth and development of your child. Our goal is to provide a Christ-centered, nurturing, loving, educational environment where the whole child can grow spiritually, socially, emotionally, physically, and academically. Morning snack is served between 9:30-10:30. Afternoon snack is served around 3:15. For those who stay after 5pm, a small snack will be offered to those who need it. For students staying through lunch, they can either bring a lunch or purchase one through the school's hot lunch program. Immunizations must be up-to-date before entry to the program. Cornerstone Christian Preschool is designed to provide a strong early education program in a nurturing, loving and educational environment where the whole child can grow spiritually, socially, emotionally, physically and academically. The curriculum emphasizes monthly thematic units that are broken down into sub themes for each week. These themes are presented using a variety of teaching methods to meet the learning styles of each child. This means hands-on-learning experiences, literature based activities, an emphasis on both creative and dramatic play and much more. We take every opportunity to teach and model Biblical standards and characteristics, using everyday occurrences to teach God’s character and love. Our primary focus is to introduce children to who God is by teaching about His character in our weekly Bible stories. Our preschool offers before-school care from 7am-9am and after-school care from 3pm-6pm. Students who participate in any of these hours are provided with a nurturing environment to play, explore, discover, and maybe even get a little messy. We understand that the need for EDC is not always a family's first choice, so we make sure that the extra time at school is EXTRA special. Two summer school sessions are offered, the first one beginning the week AFTER the regular school year ends. This program is structured like the school year, accented with creative, summer-themed fun. Cornerstone Christian Preschool is licensed by the State of California to serve children who are potty trained and are between the ages of two yrs/6mos and Kindergarten age. Our preschool is a member school of the Association of Christian School International (ACSI). 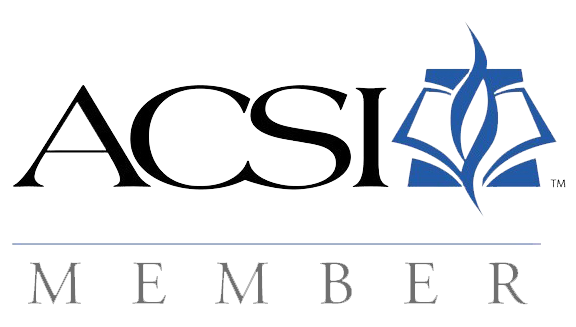 ACSI provides leadership seminars, teacher conferences, literature, and other opportunities for staff growth, and continued development. Christian schools are also represented by ACSI in state and national issues concerning Christian education.